Definition (e-approx. 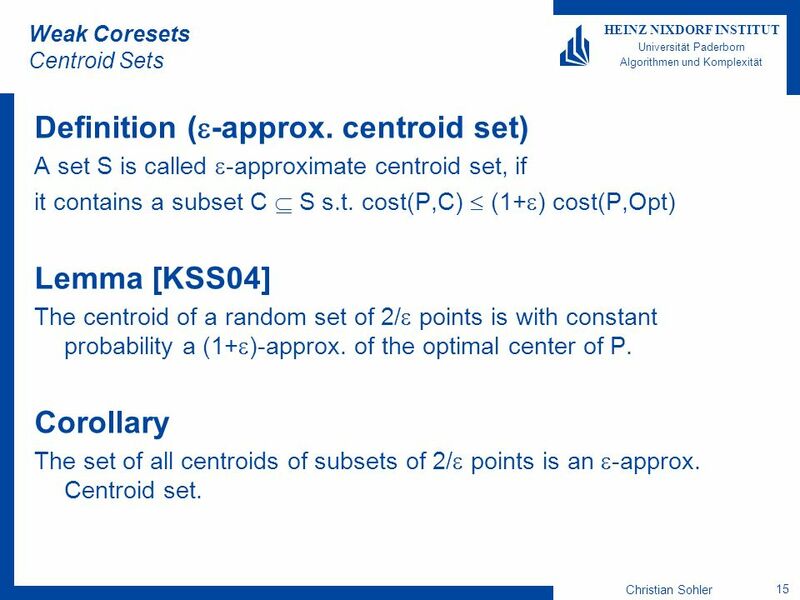 centroid set) A set S is called e-approximate centroid set, if it contains a subset C  S s.t. 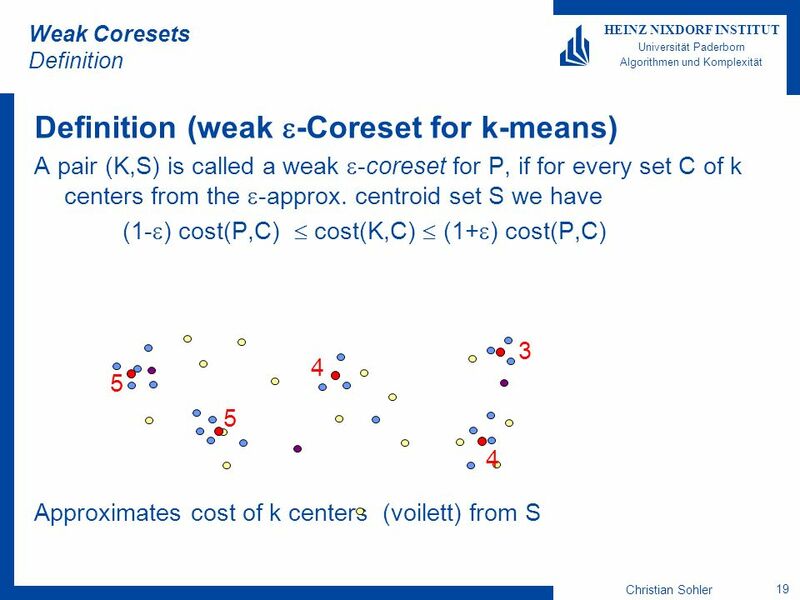 cost(P,C)  (1+e) cost(P,Opt) Lemma [KSS04] The centroid of a random set of 2/e points is with constant probability a (1+e)-approx. of the optimal center of P. Corollary The set of all centroids of subsets of 2/e points is an e-approx. 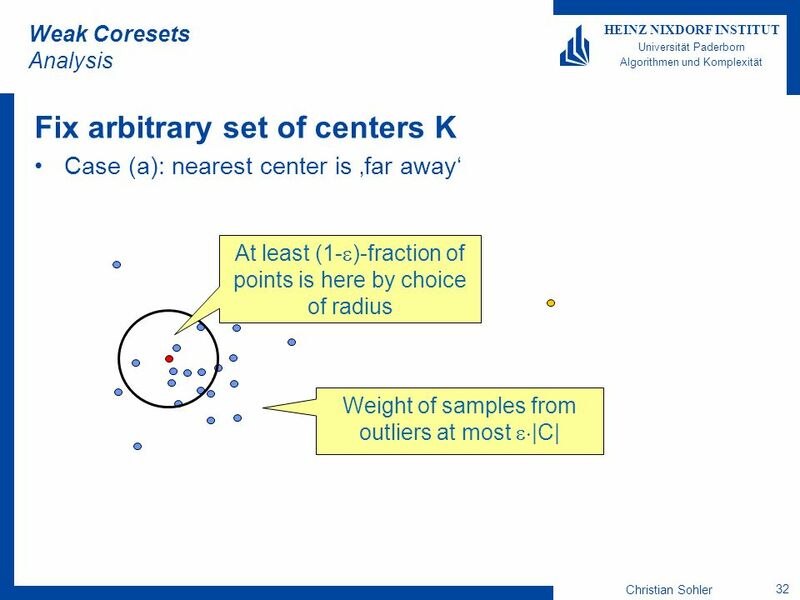 Centroid set. 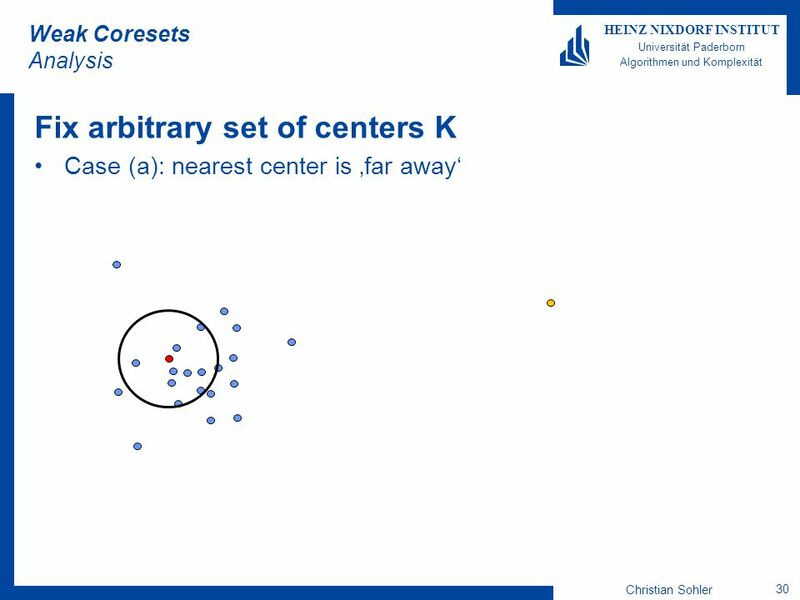 Fix arbitrary set of centers K Case (a): nearest center is ‚far away‘ At least (1-e)-fraction of points is here by choice of radius Forget about outliers! 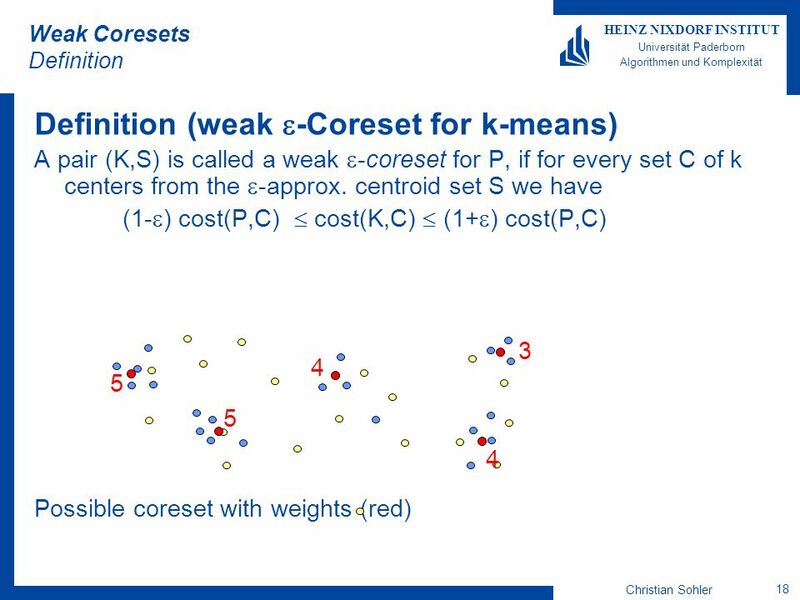 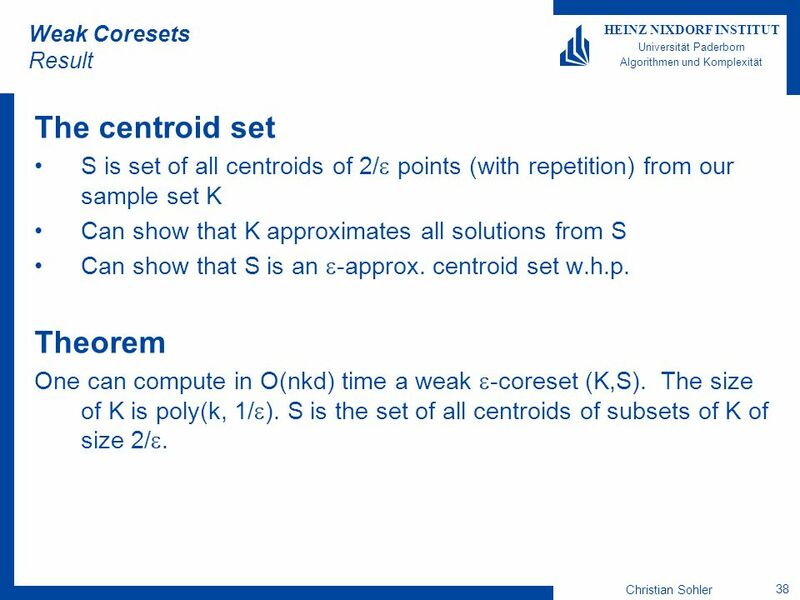 Weak Coresets Result The centroid set S is set of all centroids of 2/e points (with repetition) from our sample set K Can show that K approximates all solutions from S Can show that S is an e-approx. 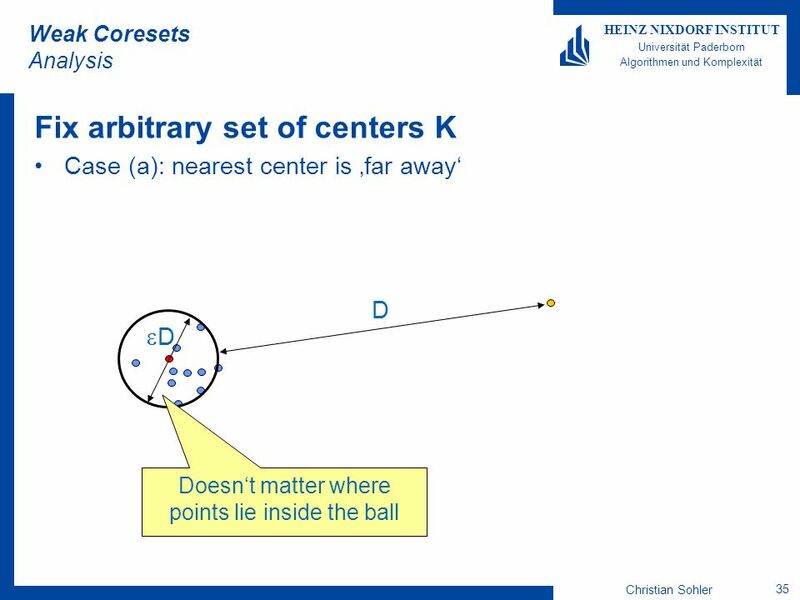 centroid set w.h.p. 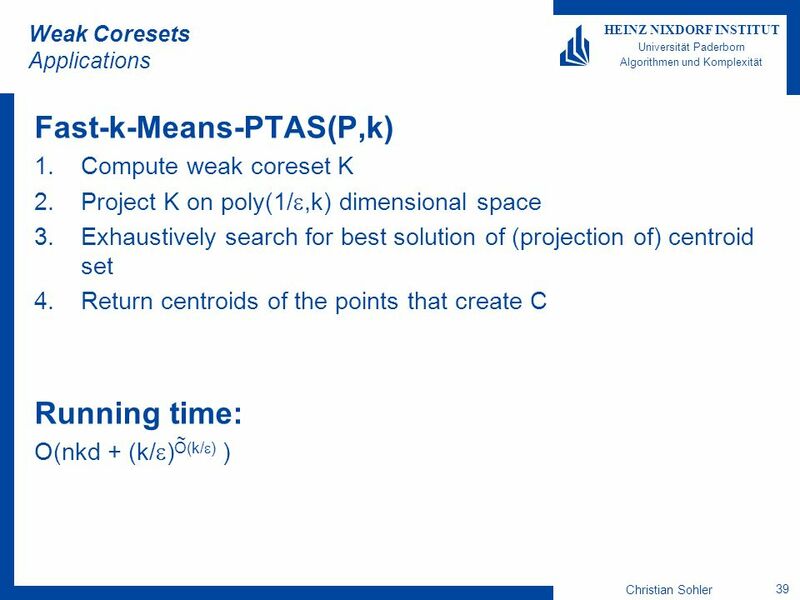 Theorem One can compute in O(nkd) time a weak e-coreset (K,S). The size of K is poly(k, 1/e). S is the set of all centroids of subsets of K of size 2/e. 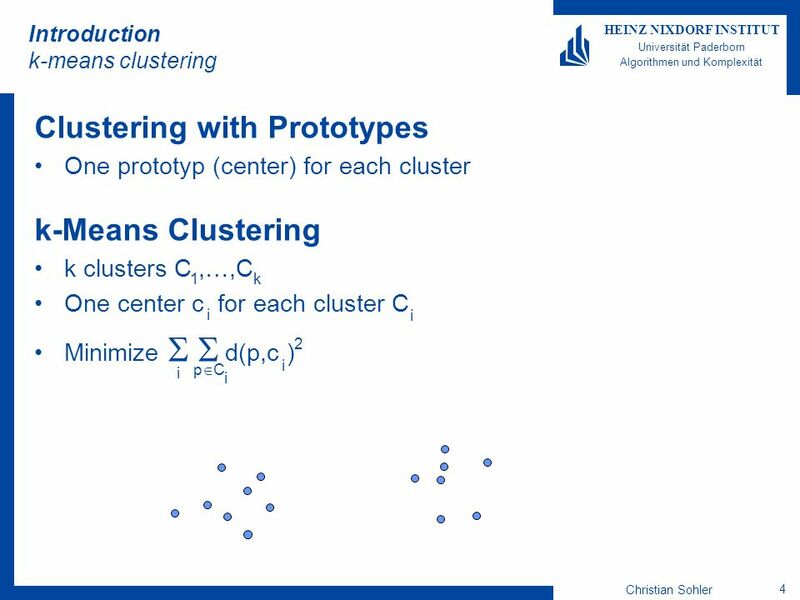 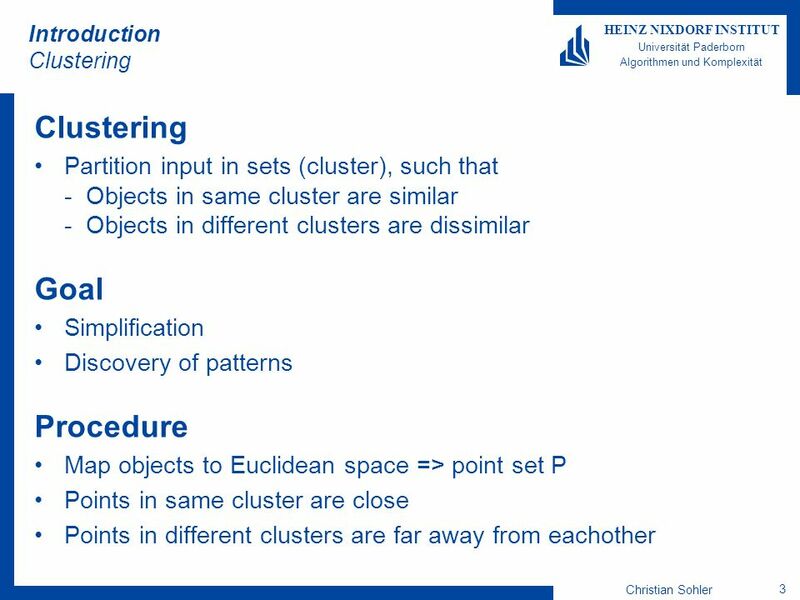 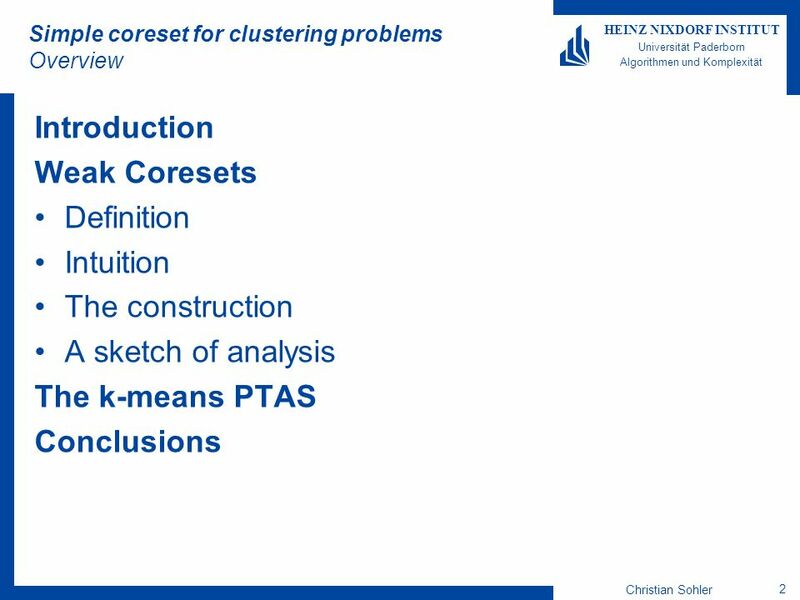 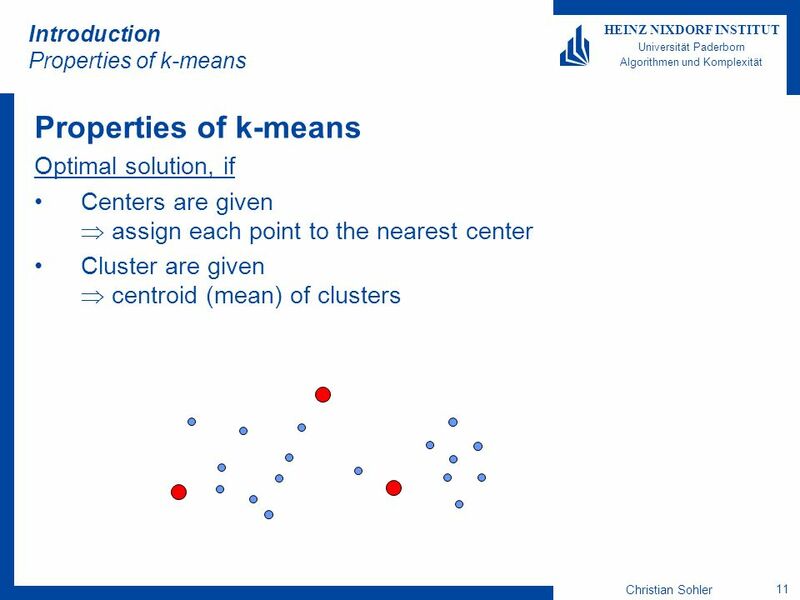 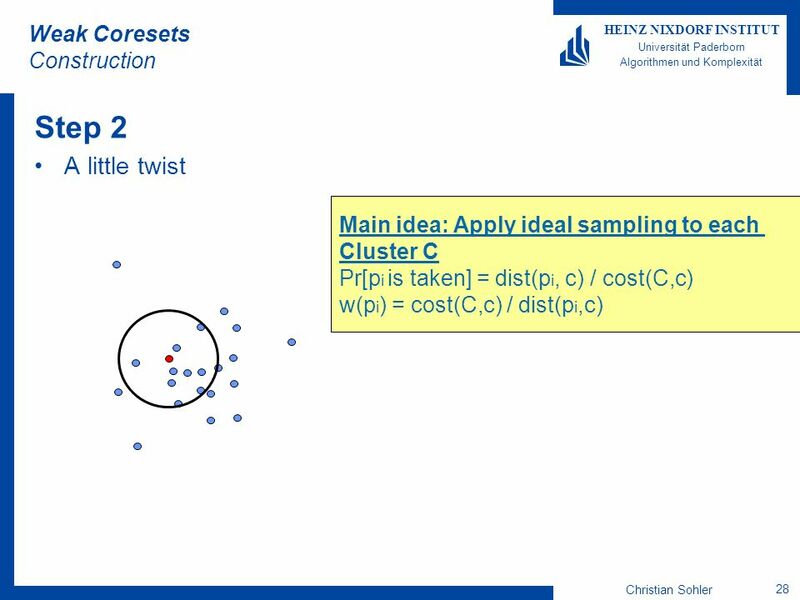 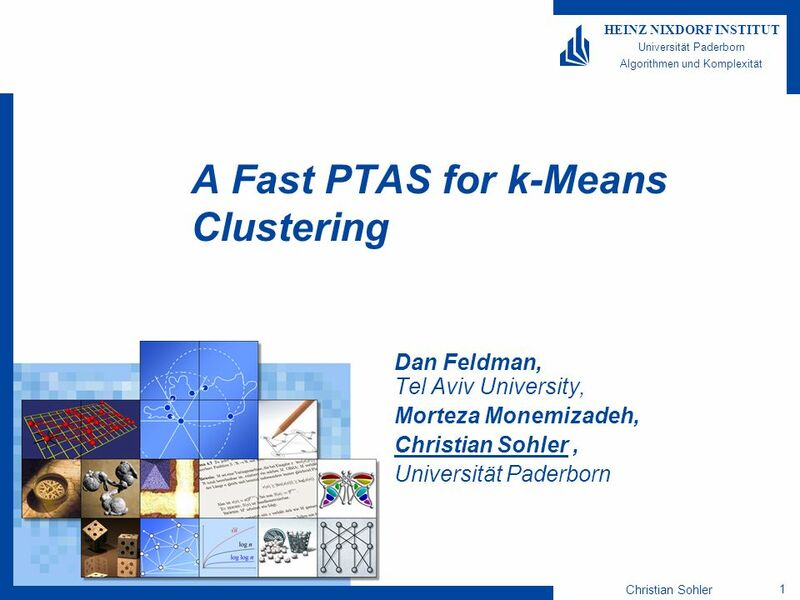 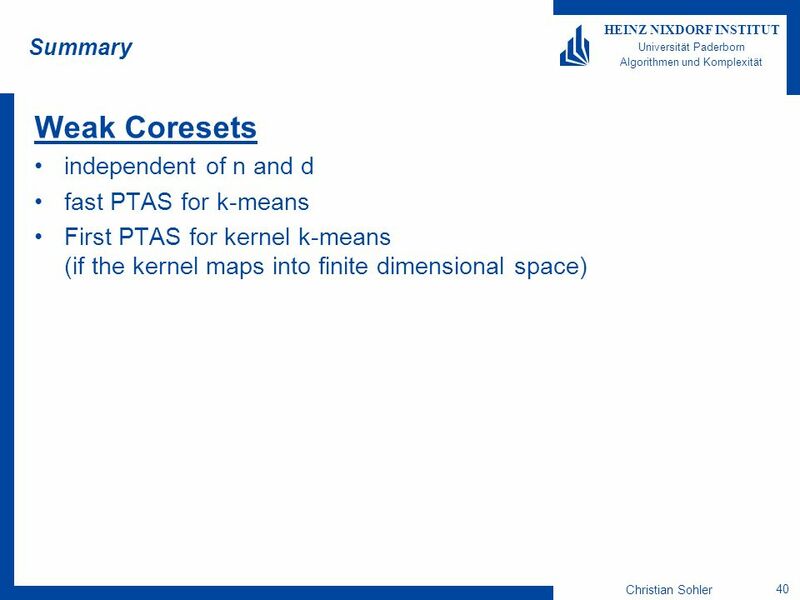 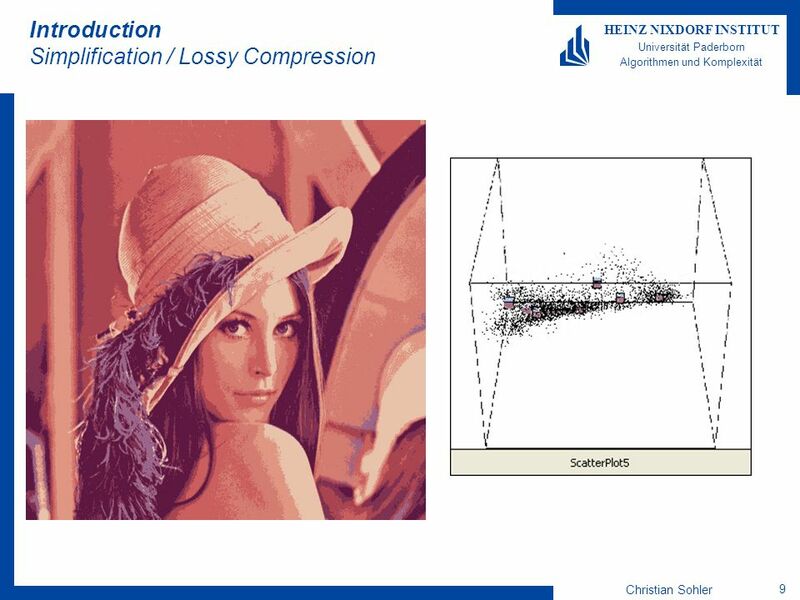 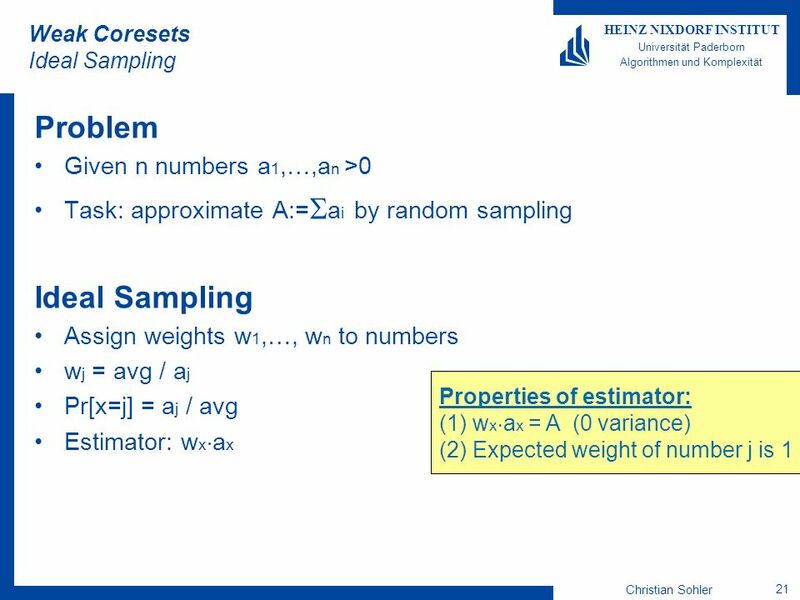 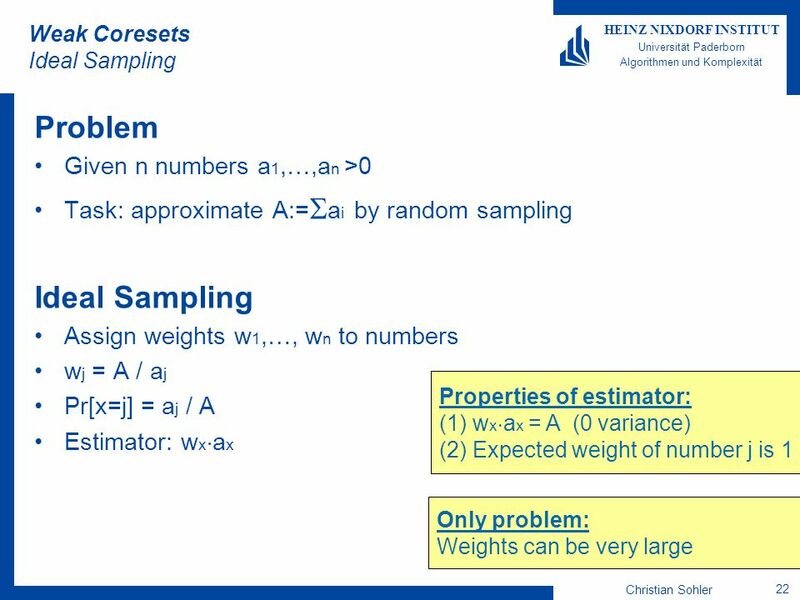 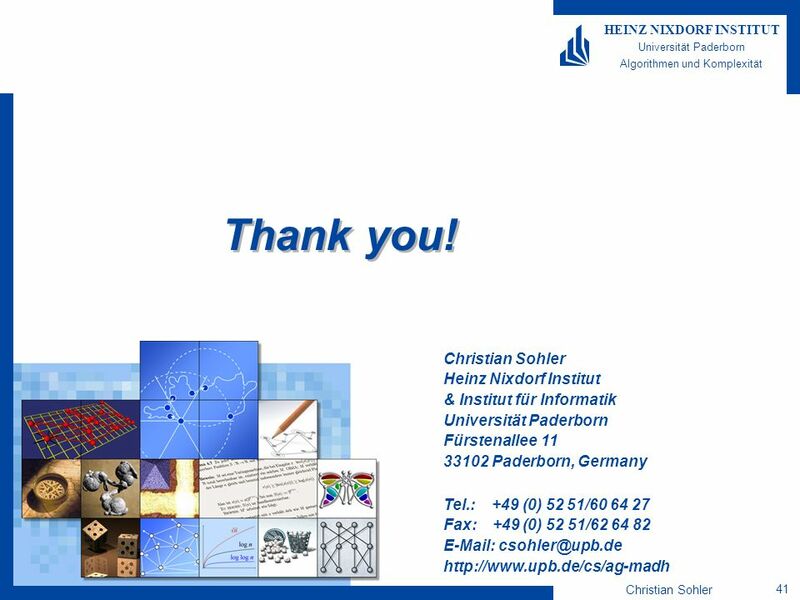 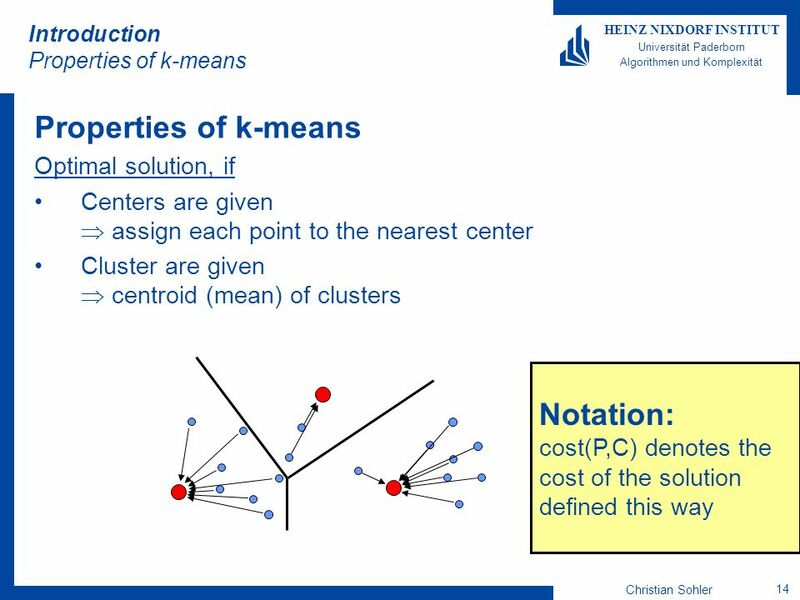 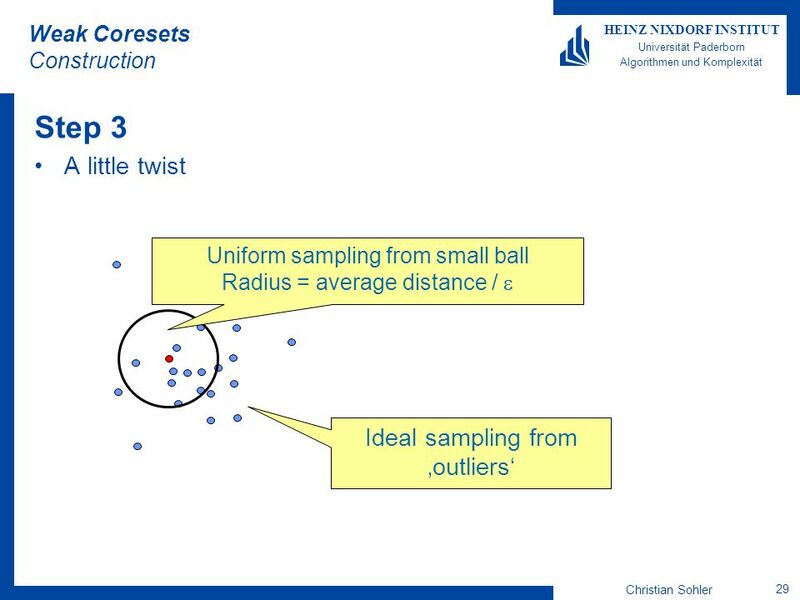 Download ppt "A Fast PTAS for k-Means Clustering"
Friedhelm Meyer auf der Heide 1 HEINZ NIXDORF INSTITUTE University of Paderborn Algorithms and Complexity Algorithmic Aspects of Dynamic Intelligent Systems.